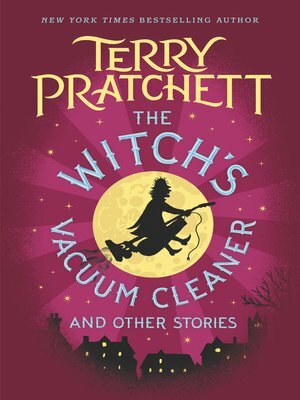 The Witch's Vacuum Cleaner is the second fabulously funny short-story collection from the late acclaimed storyteller Terry Pratchett. A follow-up to Dragons at Crumbling Castle, this second batch of storytelling gems features stories written when Sir Terry was just seventeen years old and working as a junior reporter. In these pages, new Pratchett fans will find wonder, mayhem, sorcery, and delight—and loyal readers will recognize the seeds of ideas that went on to influence his most beloved tales later in life. As Neil Gaiman says, "a Terry Pratchett book is a small miracle"—and The Witch's Vacuum Cleaner proves to be another miracle taking its place alongside Pratchett's astounding and cherished body of work.